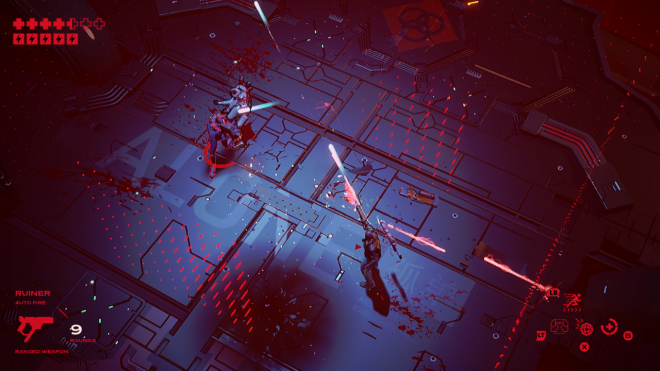 Just when you thought cyberpunk couldn’t be more awesome, in comes Ruiner, a top-down shooter absolutely smothered in the aesthetic. It’s like the developer was tasked with creating a game where everything in it could be stamped on a heavy metal album cover. The protagonist wears a face-covering helmet with a flashy LED screen, villains wear their best punk-rock outfits and there are numerous disturbing amalgamations of machinery and flesh. By the time you finish the game, you’ll have covered the futuristic world and blood, having turned its cool-looking denizens to paste. It’s brutal but awesome. Shiny and chrome – Ruiner takes place in a gritty future that’s probably awful to live in, but is incredibly beautiful. Design work is top-notch; while the extreme emphasis on metallic indoor environments could easily have been dull, here the setting looks slick, futuristic and incredibly threatening. 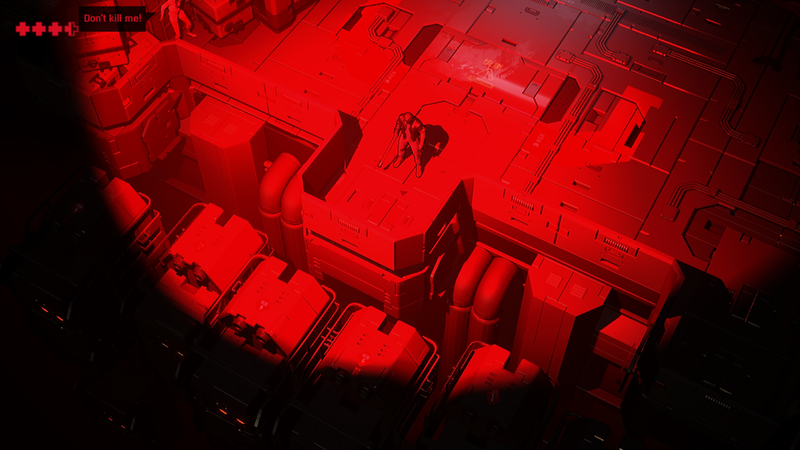 The darkly colored environments are complemented by fantastic lighting work, over-saturating the screen in reds and other prominent colors that really compliment the game’s violence and sense of place. The red-heavy UI is also well designed, although, some may find it annoying, as it covers the screen with giant text and strobe effects whenever a battle starts or the current objective updates. The game is brimming with a sinister personality that jumps off the screen in every frame. You ruined everything – Ruiner is one of the most satisfying twin-stick shooters I’ve ever played. Combat is done with both melee and ranged weapons, both of which feel very impactful even with the weak starting gear. Your main non-combat move is the dash, which can be done a few times in rapid succession to zip across a battlefield a la Tracer from Overwatch. 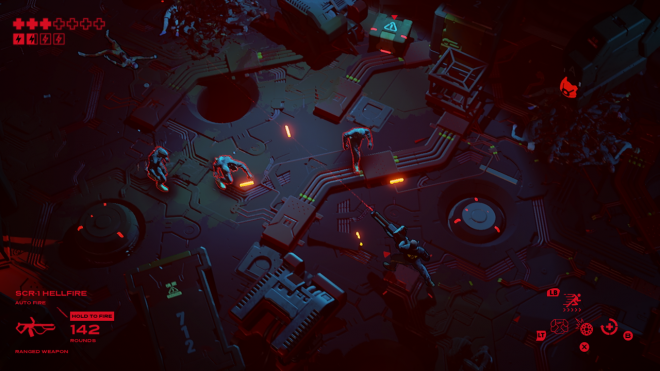 The combat system is fleshed out with a weapon wheel full of secondary abilities, running the gambit of various shields, area of effect attacks and buffs. Combat is frantic, as you must continuously be fighting back while dodging out of danger flying in from all corners of the screen. You can take a fair amount of damage on the normal difficulty, but it’s really easy to be taken out if you’re standing still too long. The main loop of zipping around shooting enemies, getting in close for a crunchy melee before backing back out is incredibly satisfying. The controls are tight and responsive, and the addition of slow-mo at key moments makes things all the more thrilling. Enemies are no laughing matter; most have many of the same abilities as you and can use the same weaponry, leaving you almost invariably outmatched. Mini-bosses take this idea to the extreme, as many are just super-powered versions of you with an extremely overpowered exotic weapon. Most battles are challenging, but some are downright brutal until you figure out a good strategy (a mid-game boss fight against a robot with a giant laser comes to mind); it’s never an unfair game, but it’s a fairly difficult one that constantly has you on your toes. Life hacks – A big part of the combat’s success comes from the leveling system. Like most RPGs, you earn experience (here called Karma) to earn points to spend on new skills and upgrades. Every ability you can purchase feels useful from the get-go, but they all can be leveled up with extra buffs and effects to become amazingly powerful. Skill points can be moved around at any time, so you’re never locked into a bad choice and can rework your tactics on the fly. This is incredibly useful in the early game, letting you try out everything before committing. The game’s weapon systems aren’t nearly as complicated, but still full of variety. You can pick up fallen enemies’ weaponry, all of which have a limited number of uses before they break and you’re forced back to your starting gear. There’s a few different melee weapons and a whole series of shotguns, assault rifles, lasers and more unusual heavy artillery. Anything you can pick up is infinitely more useful than your normal gear, but there’s a catch – at the end of every bout a grinder comes in and converts all the weapons lying around into Karma. This creates an interesting dilemma, asking the player whether they want a temporary power boost now or go for the more challenging route to earn permanent upgrades faster. A shell without a ghost – The game’s fantastic art direction has one obvious weak point, and it’s the writing. While the world around you is visually captivating, the main narrative is as rote as it gets. It’s a basic revenge plot where you’re hunting the baddies that hacked your brain and kidnapped your brother. Like all futuristic works of fiction, there’s a backstory, but I learned more about it from the marketplace’s description than the game itself. The character designs do a better job at displaying personality than the dialogue; conversations are displayed via text overlayed on great 2D artwork, and most interactions range from boring to cringe-worthy. The worst offender is “Her,” the protagonist’s main contact, who has to end every sentence with an intricate emoticon. The one bright spot is when you choose your hero’s dialogue options; instead of talking, his face screen lights up with appropriate text and pictures. It’s a clever detail, which only goes to highlight how the game succeeds more when it shows rather than tells. On a pure gameplay level, Ruiner is almost perfect. It strikes the perfect balance between challenge and fun. 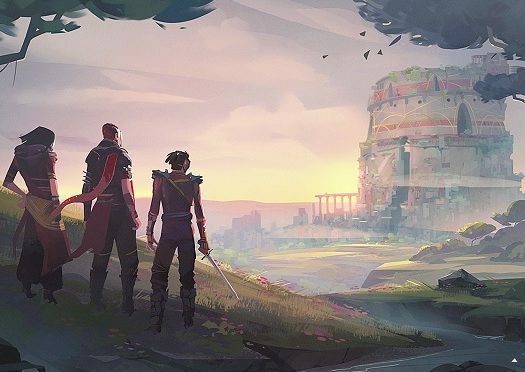 The game feels incredible to play, and every ability feels satisfying and powerful, but that means nothing if you don’t have the skills to use them well. The story and world may not be fleshed out enough, but at least it’s a sight to behold. The game may be called Ruiner, but it can only improve your game library. 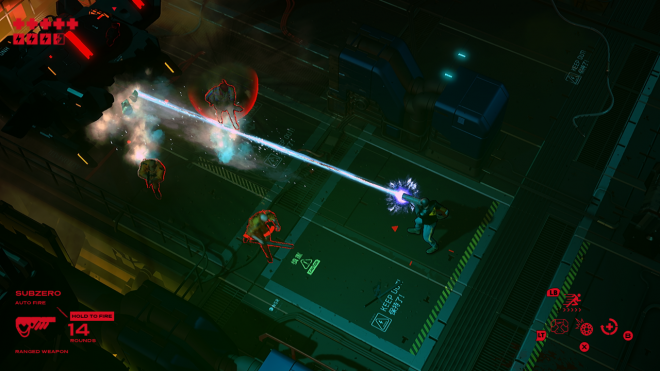 Ruiner was developed by Reikon Games and published by Devolver Digital. It was released September 26, 2017, for $19.99. A copy was provided for review purposes.